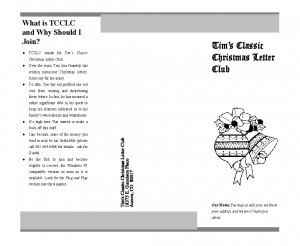 This is the genesis of TCLCYC. 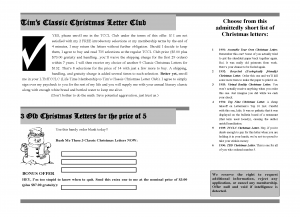 I tried to sell a subscription-based service for stupid Christmas letters. It was wildly unsuccessful. I was shocked. Just read the terms…they aren’t too different than what you see on late night cable shows. Guess I should have included an “Easy-Pay” option. 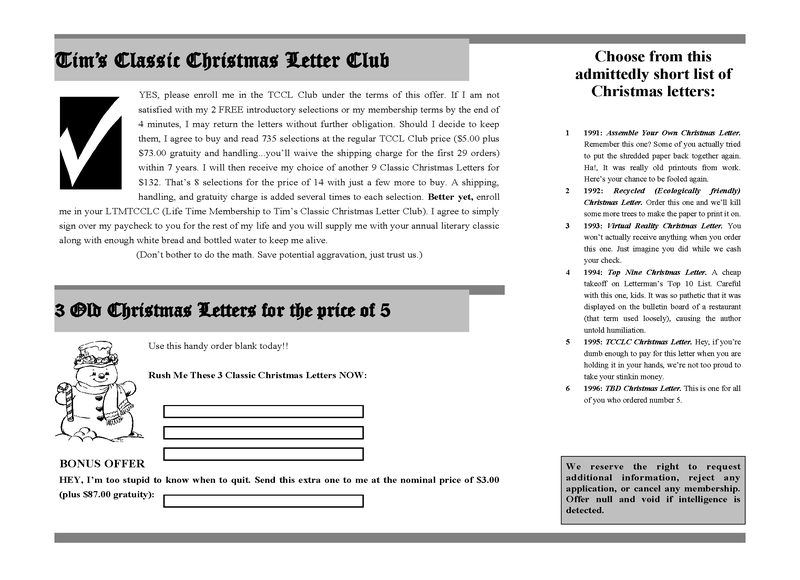 This was also the first time using Microsoft Publisher. I thought it was easy to use. I just modified one of their templates…adding my own sick twists. 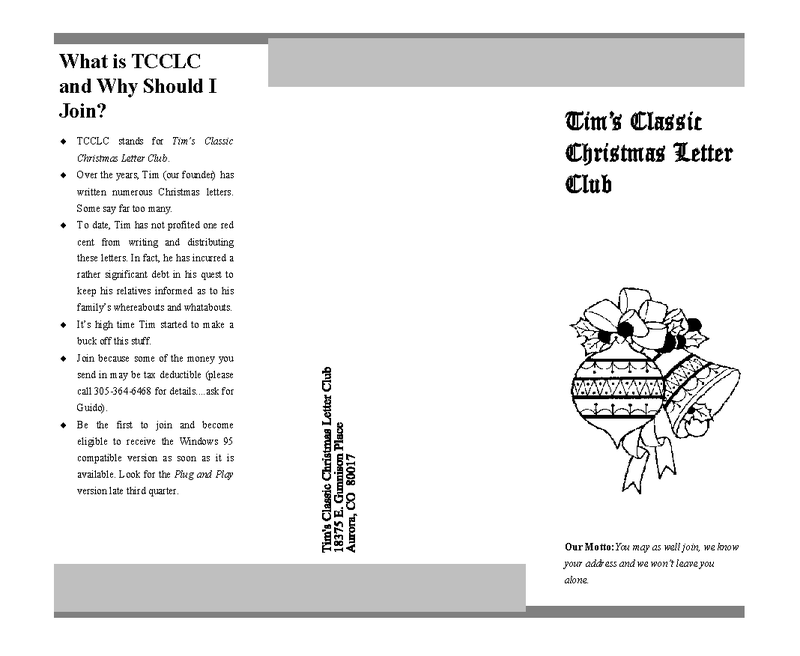 It is formatted such that it could be tri-folded into something you just slap a stamp on and mail. I don’t remember if that is what I did or if I stuck it in an envelope. I probably put it in an envelope to lower the chance that it would be tossed in the garbage as junk mail. But that would have been fitting.